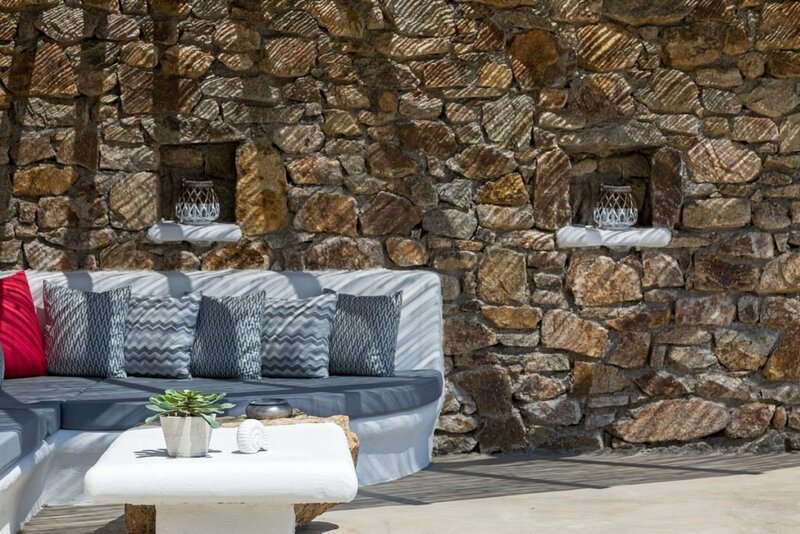 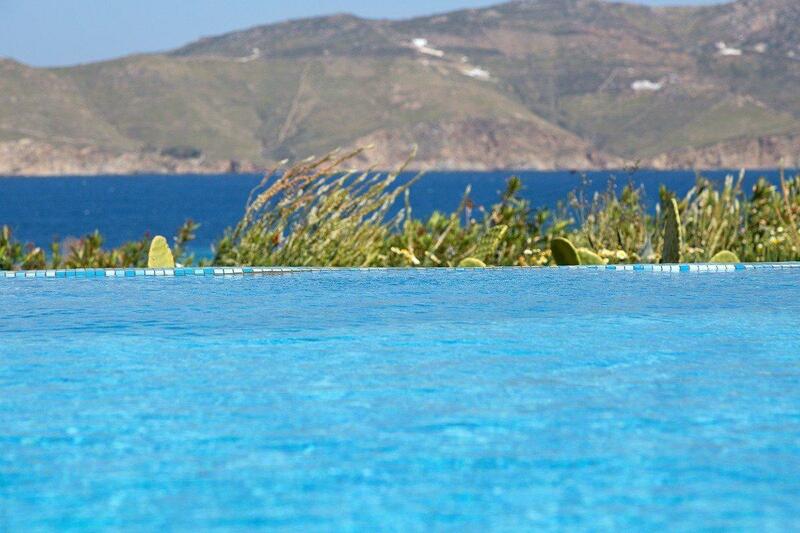 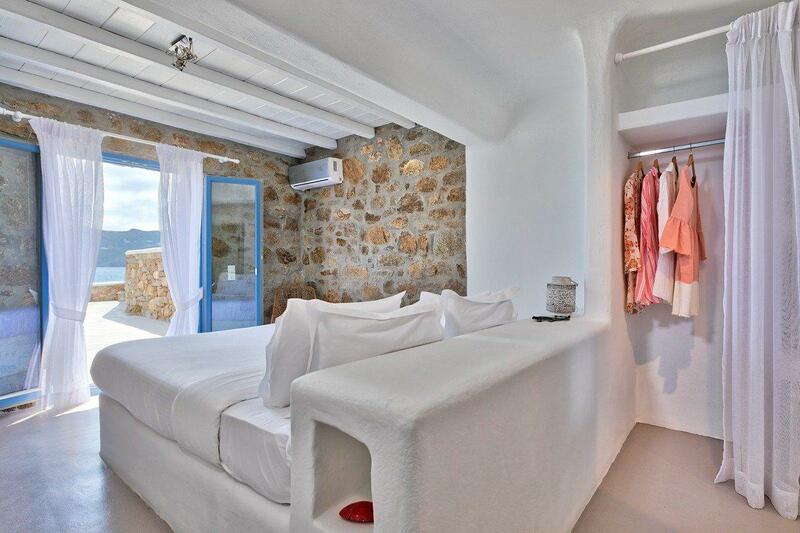 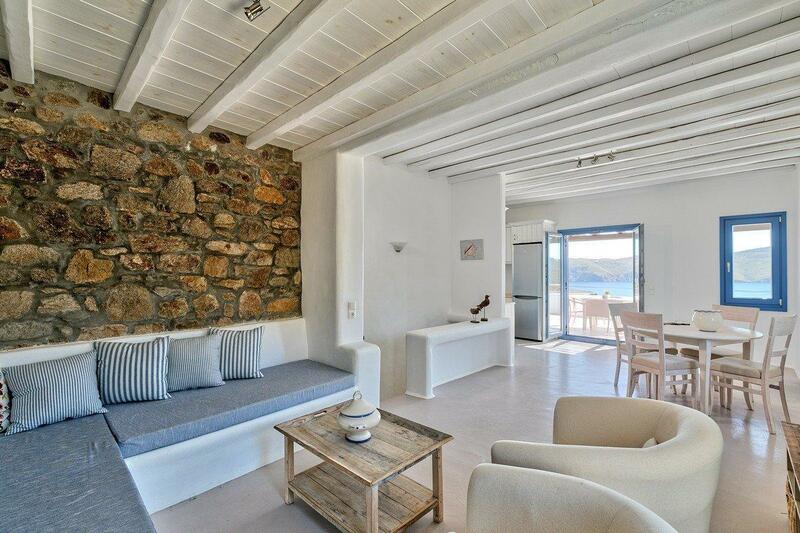 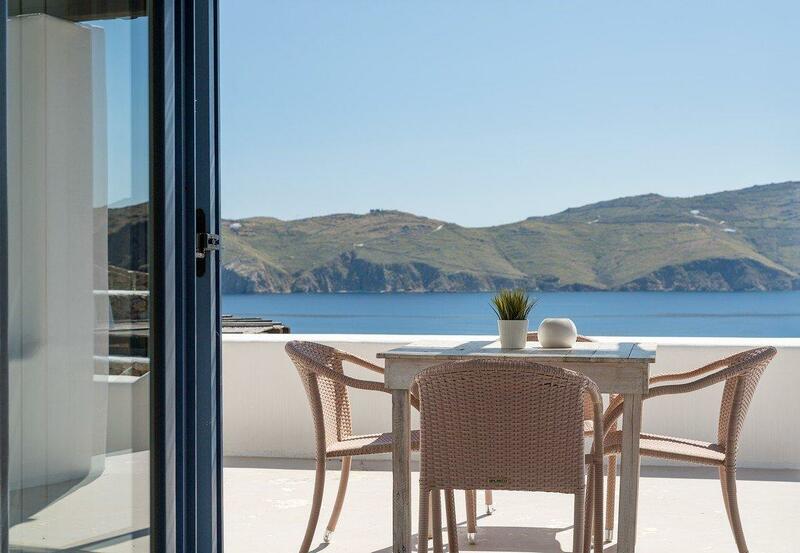 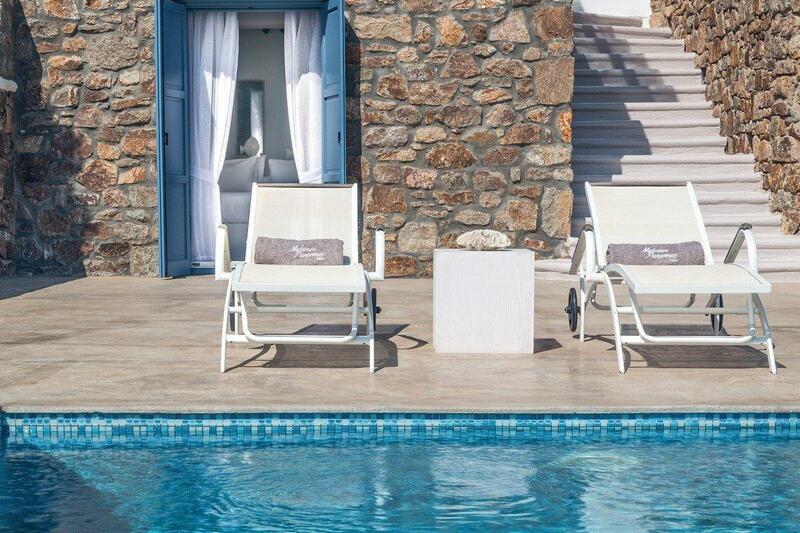 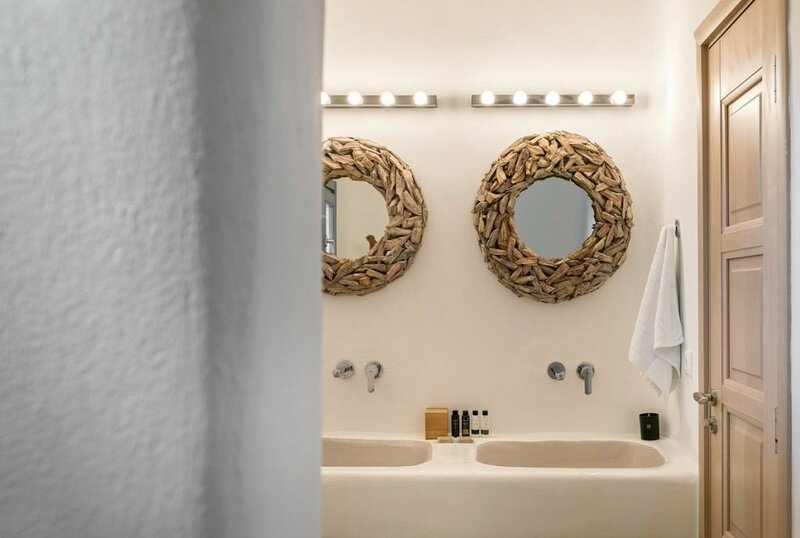 This cozy traditionally designed vacation home is the perfect place to begin your holiday in Mykonos. 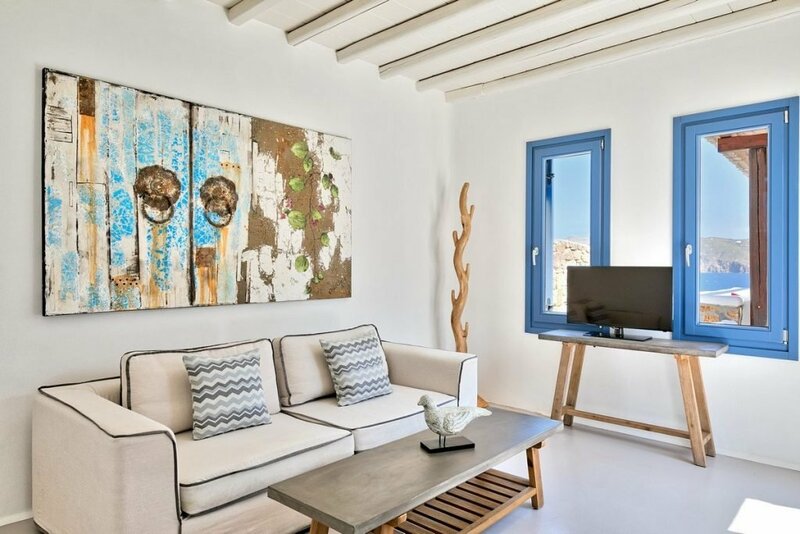 The interior of the villa has 2 bedrooms and 2 baths, a stylishly decorated living and dining area and a fully equipped kitchen. 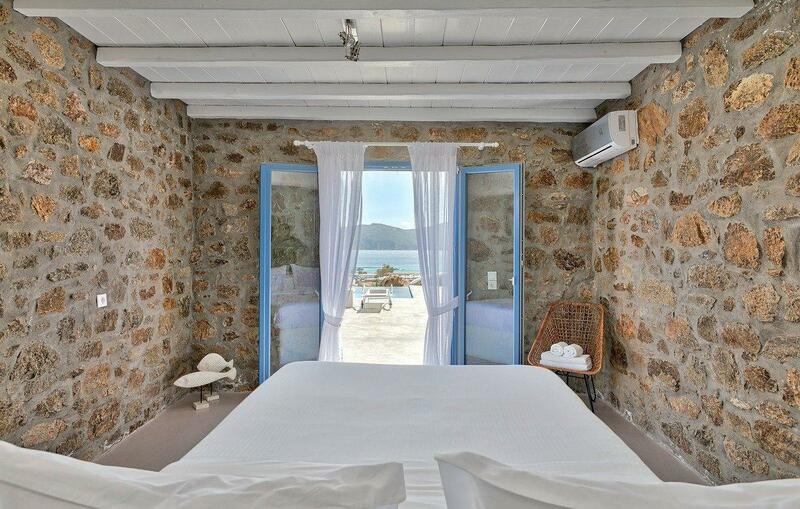 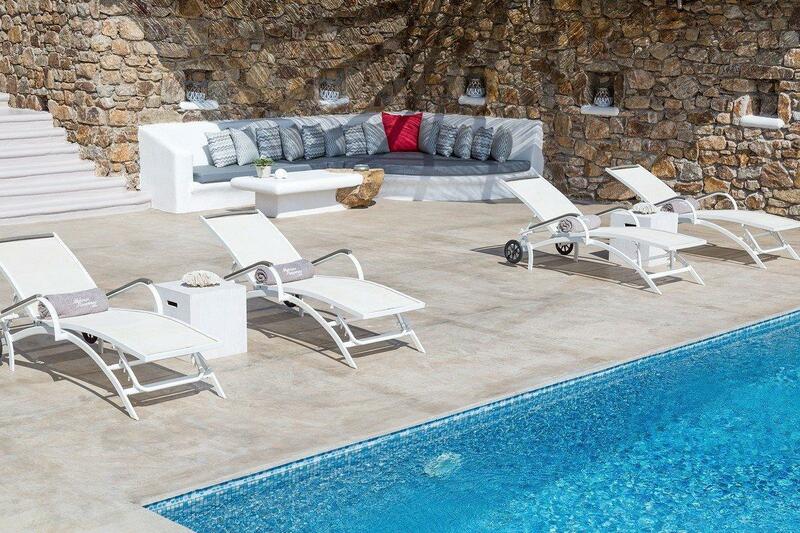 Live an idyllic Greek island escape relaxing on your built in sofa while relishing the endless blue of sea and sky. 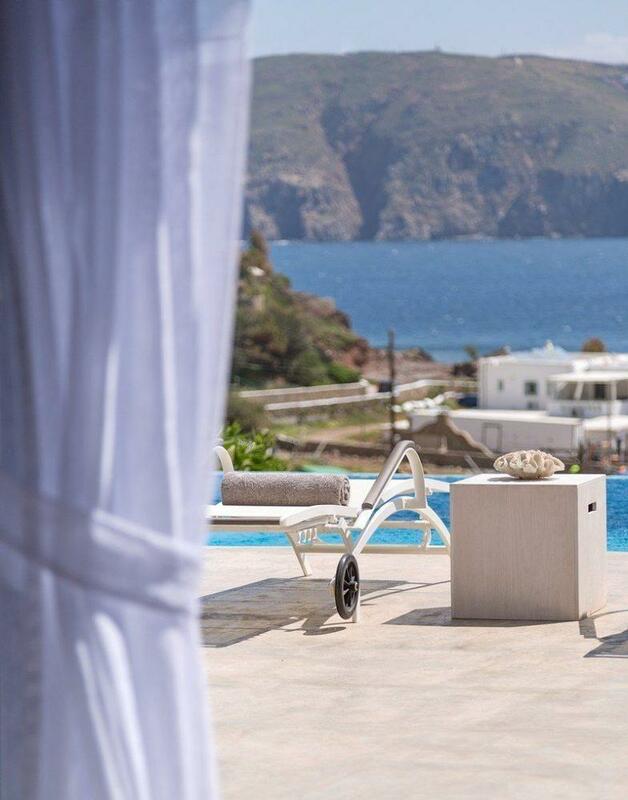 Step down from the dining terrace to the pool area and enjoy the peaceful environment, dazzling sea views, your sparkling private pool and comfy sun beds. The white sand of Panormos Beach is just a short walk and its crystal waters invite you to feel the summer vibe.